2019 contains various initiatives reaching wider or more contained publics. These are innovative and different ventures, and we hope you may join us for at least one of them. For further information about any of the programmes, workshops or courses offered, please contact us. For information regarding Current and Coming Programmes, Workshops and Courses with The Proteus Initiative in Brazil, Argentina and Chile, please click here. 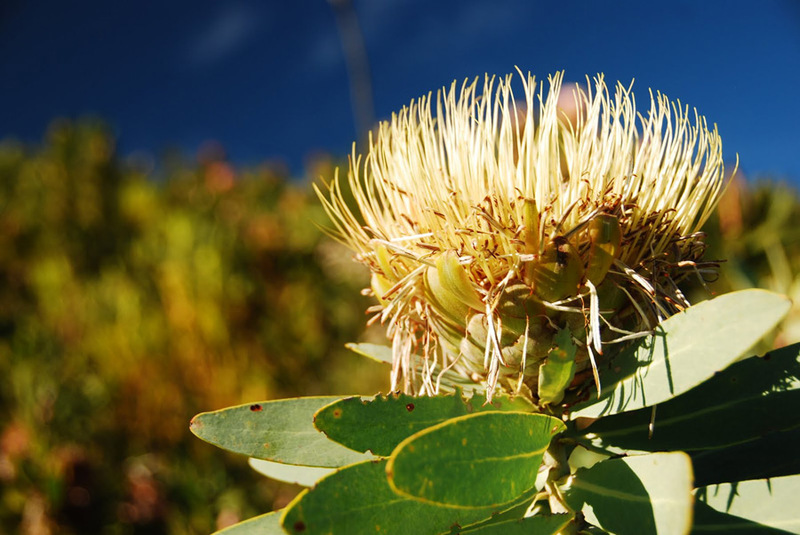 For information regarding Current and Coming Programmes, Workshops and Courses with The Proteus Initiative in Australia and New Zealand, please click here. 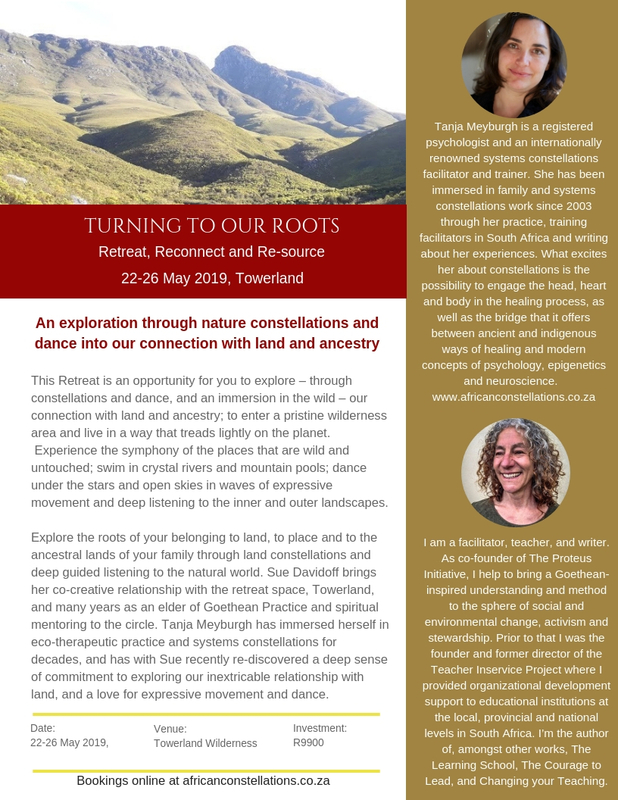 This Retreat is an opportunity for you to explore – through constellations and dance, and an immersion in the wild – our connection with land and ancestry; to enter a pristine wilderness area and live in a way that treads lightly on the planet. Read full invitation here. A WRITER'S BLOCK IS BACK! Offered for three consecutive years from 2013, this popular and richly generative programme was put on hold due to the expansion of our work in different parts of the world. But, once again, we feel that time dedicated to writing is an increasingly important and necessary way of engaging with our current (global) context. If a similar sense of necessity is living in you, we invite you to join us. Whether wanting time to reflect on where you have come from, or to discover what is calling that may not yet be in view; whether you are looking to be inspired, or hoping to rediscover yourself; whether you have a particular writing project that needs your focused attention, or whether you are an aspirant writer needing support to stake a claim to your writing, you are welcome. Those of us who have been exposed to − and by? - the ‘Goethean Glance’ know that it renders the world a World once more, with all the promise that it contained in childhood, deepened and strengthened by our experiences of coming up against it. We know that it leaves us able to see further − though such seeing can also be painful. We know that seeing further ‘out’ can only be achieved simultaneously with seeing further ‘in’ − and we know what that entails. The world reveals itself through us, we reveal ourselves through the world, we change the world through changing ourselves − yes, all of this, and all so elusive, so hard to catch, so impossible to hold, because what we hold can only ever be what has been, we can never hold the becoming. We know that, when we catch a glimpse of the becoming, the world becomes enthusiastic and inspired once more, yet that becoming comes with its own tearing sadness (who of us, asks Borges, has not lost something infinite in their lives?). We know, perhaps, that when we see through to the groundswell, to the incoming wave, of life, we see through to a world that is new; and those of us who are social practitioners, most of all, we know that, to see through the prism of our own burnished practice, lightly, is to hold a candle to the dark, and allow the world to breath once more. Read the full brochure HERE. respectful of the complexity and true nature of the challenges we face in the social field. the human being (and the world we inhabit).